Bluetooth® enabled for data transfer to smart phones and tablets. 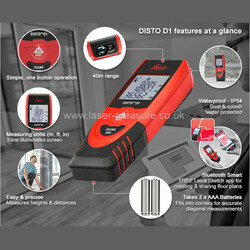 Free Leica DISTO™ sketch App. 40m range. X­Range Power Technology. Clear, illuminated 3 line display. IP54 dust and splash water protected. Accuracy:	+/- 2mm. Range: 0.2 to 40m. Battery: Type AAA, 2x 1.5V. 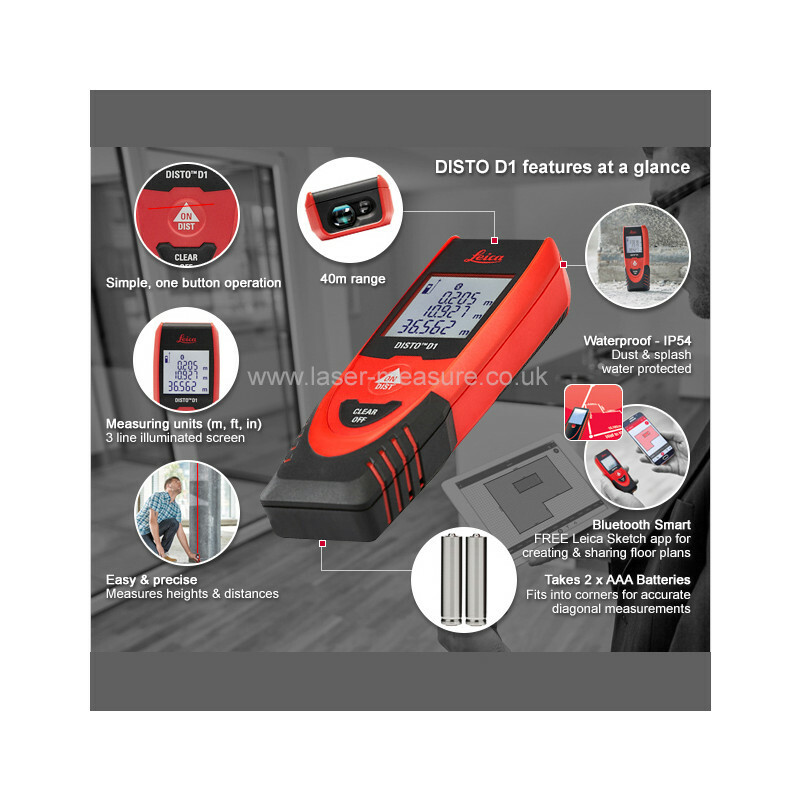 Battery life: up to 10,000 measurements (20h operation time). Certified:ISO 16331-1. 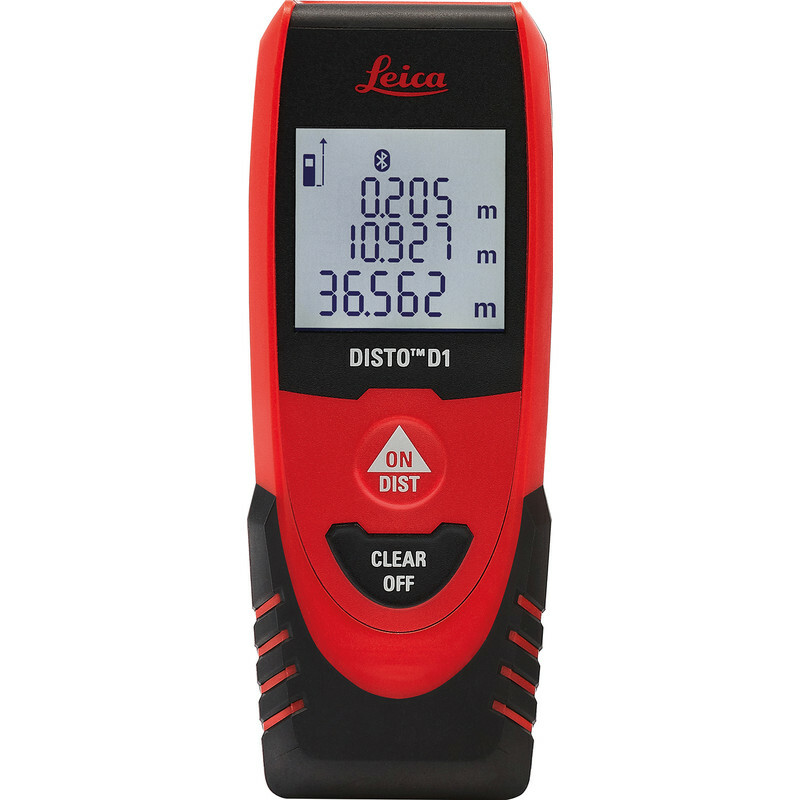 Leica Disto D1 Laser Distance Measurer 40m Range is rated 4.5 out of 5 by 10. Rated 5 out of 5 by Stevejet from Excellent bit of kit Simple to use but very effective when used In conjunction with sketch app (android). 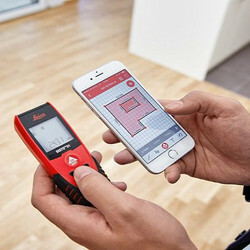 Rated 5 out of 5 by Gyyk from Excellent peace of equipment Bluetooth connection with the Phone is amazing!